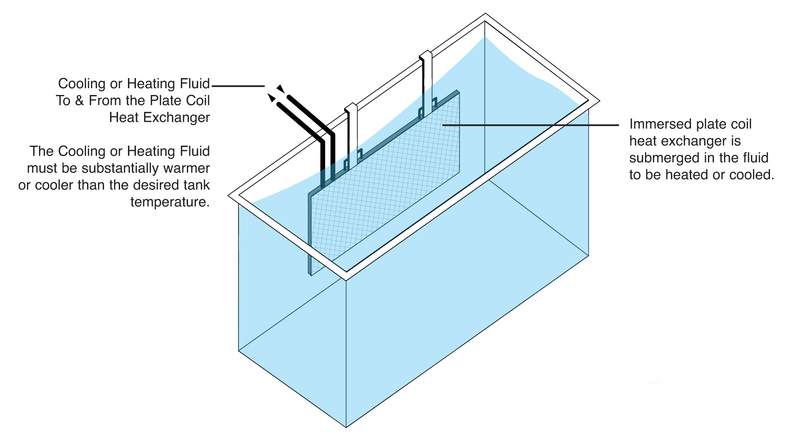 Plate coil heat exchangers can be used to heat and cool tanks containing chemicals and other fluilds where direct contact between the heating or cooling fluid and the process fluid is not possible. Plate coil heat exchangers can be ganged together to provide a wide range of cooling and heating capacity. Advantage does not manufacture plate coil heat exchangers but can suggest sources of this type of heat exchanger. Would you like to Download FYI #301 to your browser?